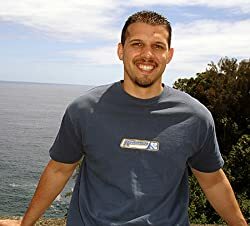 Anthony Maldonado was born in southern California on August 18, 1979. He earned a degree in biomedical sciences from University of California, Riverside in 2001 as well as a MD from UCLA's school of medicine in 2004. He then went on to complete his internship and residency in Emergency Medicine, in which he currently practices. He currently lives in Southern California with his wife, Bernice. Aside from writing, Anthony enjoys running, hiking, and dabbles in a bit of woodworking in his garage. He is fully in touch with his inner (really outer) nerd and enjoys video/computer games as well a range of entertaining movies and cartoons. Please enter your email address and click the Follow button to follow Anthony Maldonado!